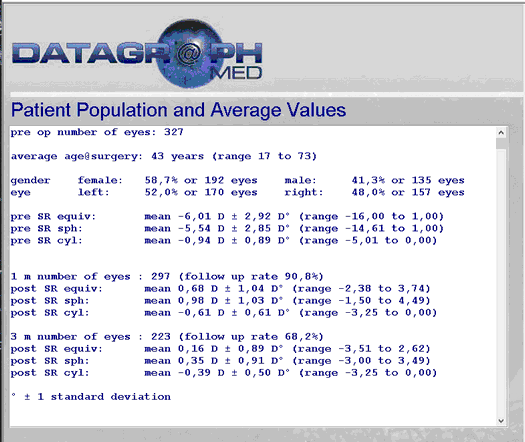 Datagraph-med calculates a summary of pre and postOP values which are usually given at the beginning of a presentation or in the abstract of a scientific work. PreOP and several follow up time intervals can be selected. You may copy the text which appears in the white box into the clipboard and paste into any MS Office application. Note: This 'graph' is not exported as 'MS Graph Object' and can be edited as normal text.